The foundations for yet another successful Fur Shopping Festival are being laid by the Kastorian Fur Association as it prepares one of its major event for the third year in a row. 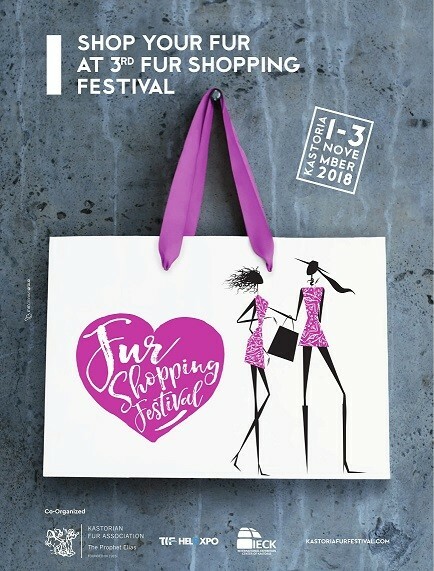 The 3rd Fur Shopping Festival will take place 1-3 November, 2018 at the International Fur Exhibition Cente6 in Kastoria. This year’s event, catering for retail and wholesale sales of fur and leather goods, is expected to attract commercial buyers from all over the world as it did in the previous two years. With the submission of participation forms having started on Monday, August 20, fur businesses both from Greece and other countries have already shown great interest in participating. The deadline for participation form submission is August 31st, 2018. Businesses interested in being part of this year’s event can contact the Kastorian Fur Association offices for further information at 24670-22353 and 24670-23116 or send an email to info@akf.gr . The 3rd Fur Shopping Festival is organized by the Kastorian Fur Association in collaboration with TIF-HELEXPO.